Hey there! Yes, I am still here. Happy. Busy, but the kind of busy that says, “I am having lots of fun.” I have been enjoying having a full house, many plates on the table, around 25 eggs in the pan for breakfast, and lots of ice cream and Manchego cheese with crackers in the mid afternoon. All of these around pretty good, thoughtful and also hilarious conversations, long rides in the traffic of this big city, watching a movie in my room or playing “mafia” after dinner. Once upon a time I did not really like -or care- to read fiction. I was starving for spiritual food, and I thought reading fiction would be a waste of time. I could be reading something else, one more theological “meaty” piece. But as I grew stronger, I found friends and authors I highly respect, and even my own children -and their friends-, encouraging me to pick up some good fiction books. So I did. This year I have read more fiction than ever, and I am richer. It has not been a waste of time at all, as I used to think. I have learned more and grown more. I have understood how God, the Greatest Story-teller, builds our stories, some more complex than others, but all His and I am amazed. A Note: Do not get the Kindle edition, get the “real thing.” You would like to feel the book in your hands as you read it and trace its pages with your fingertips. I am serious. As some one has said, O’Connor’s stories are “beautiful and grotesque.” They plunged me into a reality that at times I wish did not exist. Her characters are real in the sense that you believe them; and each one of them tells us about the sinful, desperate, hopeless, and grievous state of men and women without Christ. Without the Gospel. I am so looking forward to read Mystery and Manners: Occasional Prose, which is a collection of some of O’Connor’s essays and lectures which were edited and published after her death by her friends Sally and Robert Fitzgerald. Of course I will be reading more of her short stories as well. 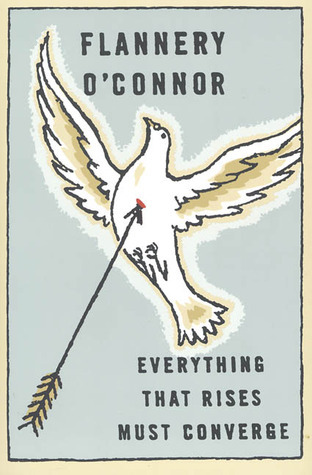 Why is it important to read O’Connor? If you are like me, you live -like to admit or not- in a bubble. Surrounded by Christian friends, a lovely church community, and a family that loves you. I need to read this so I won’t forget what happens in the heart of men and women alike outside my bubble. What might be happening in the next door. And why not, what might be happening inside my heart even now that I was not aware of. The grotesque is there, in me and around me, and only Jesus can bring hope and redemption to the desolate soul. This entry was posted in Books, Coffee and Chocolate, Hospitality by Becky Pliego. Bookmark the permalink. The Book Thief sounds very interesting. Have a blessed day! I'm starting to read more fiction after a theology-only period to make up for my spiritual malnutrition. Thanks for the recommendations. No, Leslie. I have not read her. Do you like her? Should I include her in my to-read list? On our most recent trip to the library, I picked up Everything That Rises Must Converge because I saw you gave it 5 stars on Goodreads. I'm looking forward to it after I finish Home by Marilyn Robinson. Have you read her work? 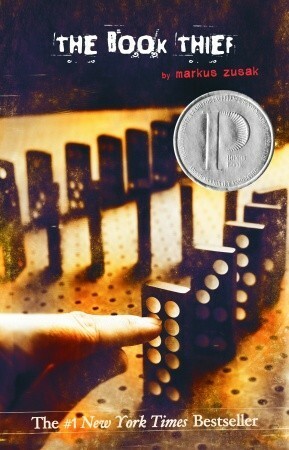 The Book Thief is a great favorite of mine! I loved it!! So glad to see you back! And the blueberry recipe is quite timely. I have a fridge full of them. I read O'Connor quite a few years ago, and I agree that beautiful and grotesque describe her well. I am never sorry that I read her.